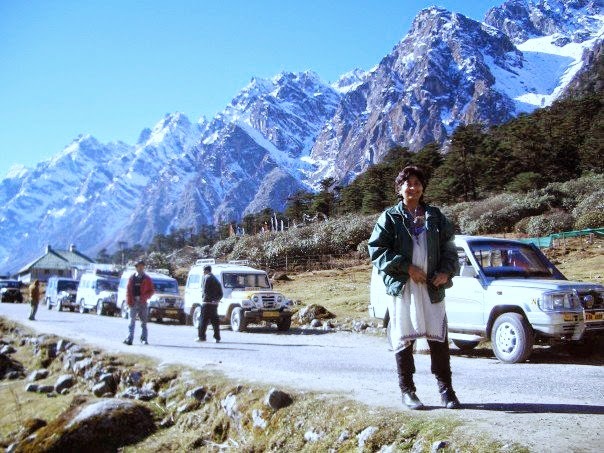 Sikkim: a must visit place, where people are very simple and very helpful too. We went there for our 25th wedding anniversary, that was almost 9 years ago. We were there from October end to the 1st week of November. It was very cold, but very good, it was not yet snow season, but was just a month away. 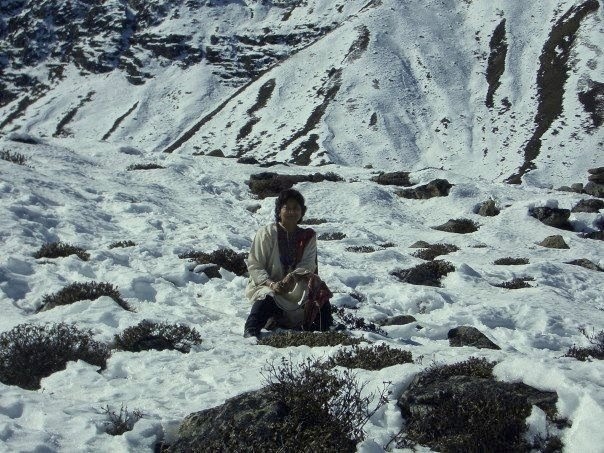 We were at the right time, although we could see and experience snow, walk on snow covered mountain paths, but only when we reached a little higher, not from where we had started our journey of Sikkim. For Pelling to be covered with snow one would have to wait for one more month. Sikkim is huge we cannot cover everything within ten days. 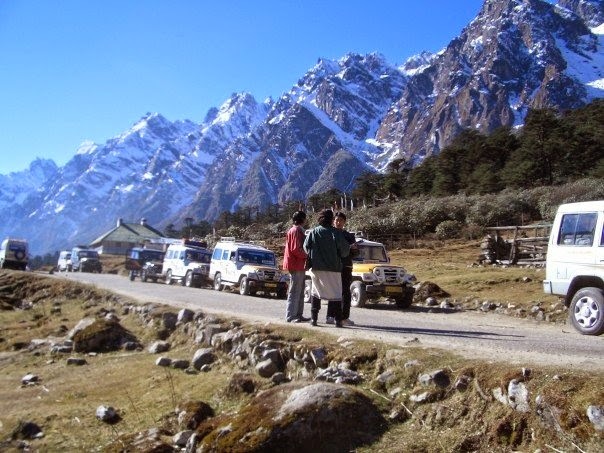 There are many beautiful places to visit in Sikkim, you have to choose what you actually want to see and then plan accordingly. We started our journey from Pelling. We booked ourselves in the famous Tashi Gang Resort. It is a lovely hotel, in the sense one can have the best view of the beautiful Kanchenjunga, said to be the third highest mountain in the world. Imagine it is right across your room, almost as if you can touch it. Everyday you can just keep looking at the most mesmerising mountain right from your balcony. The room was comfortable but other than that we did not feel like trying their food, as I think during off season, people there tend to look as if it is asking for too much. The reception and the staff looked like they could surely do with make over. It is a shame, to have a hotel in such beautiful calm location, with beautiful views, and not have an enthusiastic staff. I suppose all hill stations are like that only in India, now of course things have improved with the setting up of such classy resorts like the Mahinderas, etc. Anyway we, found a nice homely place to eat nearby, which was quite good. Also we could walk a few miles maybe for 20 to 30 minutes, and reach the local market place where you can find some good Marwari restaurants serving you good meals, good samosas, and momos, excellent tea. It was good walking down the hill watching nature, exploring, taking in the fresh mountain air, and then climbing back, which used to be a little tough, but we soon got used to that. Literally, the Noble Heaven- Reaching Mountain. A lake so calm it is said to be protected from all disturbances. Locals insist that not even a leaf falls on it to disturb its placidity; and if one does, a bird immediately swoops down to carry it off. It was indeed a beautiful sight. There is monastery too there. It is very peaceful and serene. You would be surprised to see young boys in the age group of 15 to 18 handle these jeeps and rough terrain beautifully Unfortunately I have lost the pictures of the falls and the bridge, but you can look them up in the net. 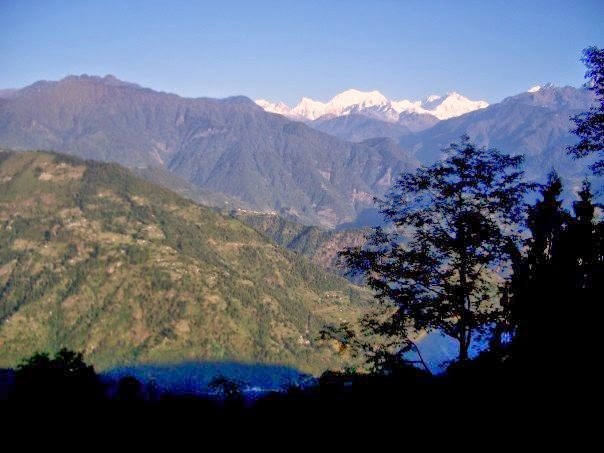 We were lucky we could always see the majestic mountain from everywhere in Pelling. We then left Pelling and travelled all the way up to Lachung,( which is much higher) where we stayed in a beautiful looking hotel. The room was just okay, but the food they cooked specially for us was really great, and since it was off season, they would make whatever we asked them to make. It is called the Snowlion Hotel. It has dragons in the entrance , and is also the tallest building, and very grand too from outside. Once again I have lost the picture of this hotel, which has a typical Chinese architecture, and very colorful too. Here it was much, much colder than Pelling. 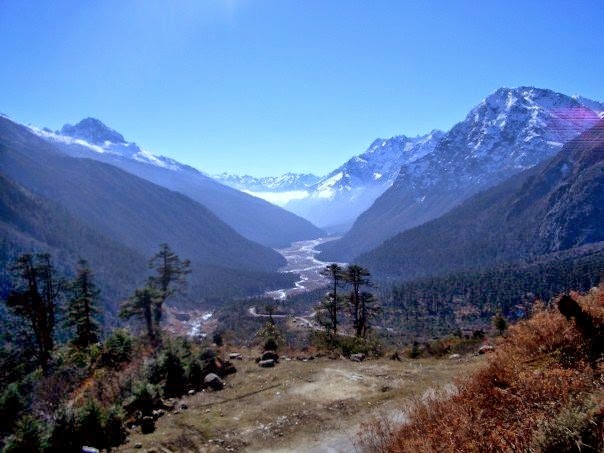 From here it is a must to see Yumthang, which is about 2 hours from Lachung. 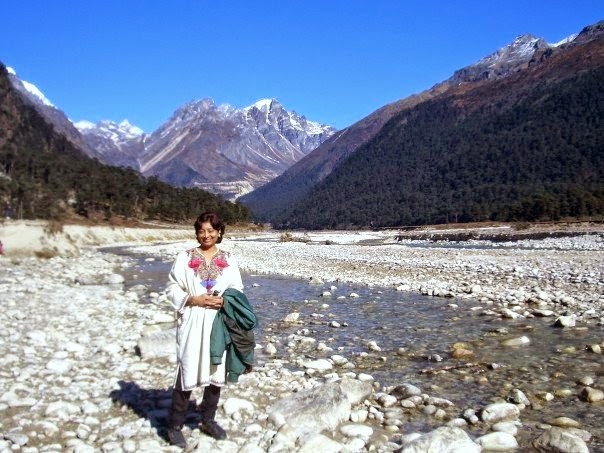 The river Teesta behind me: since it is winter, you see very little water flowing through it. 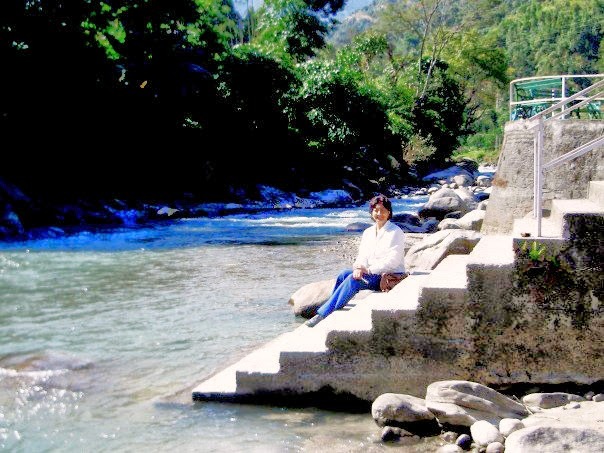 In some places the flow is heavy, and as we travel through Sikkim it is always by your side , one can never get tired of watching this lovely river flowing by. In the summer months people do river rafting. The icy cold waters of the rugged Teesta have a series of rapids with varying intensity and character. It offers one of the finest rafting stretches in the world. Rangit, a tributary of the Teesta, has more turbulent waters and offers many challenges to more experienced rafters. Gurgling mountain streams are almost constant companions on the journey through North Sikkim. Next we travelled to Yumthang in the Bollero provided by our Hotel in Lachung. A brief stop to see the natural Hot Springs. Near the natural hot springs:which is believed to have high therapeutic values. Saline in taste, the water of the spring emits sulphurated hydrogen gas and its temperature is 106 degree. The water of the spring with such composition is believed to be beneficial for skin diseases. Yumthang also has the Shingba Rhododendron Sanctuary with antique species of orchids and rhododendrons, which we could not see because they bloom only in summer. A brief stop to see the hot springs here. So close to these mountain ranges. Chocolate lovers would immediately be reminded of Toblerone when they see these mountains. The two drivers : so young, and such expert drivers and very friendly too. 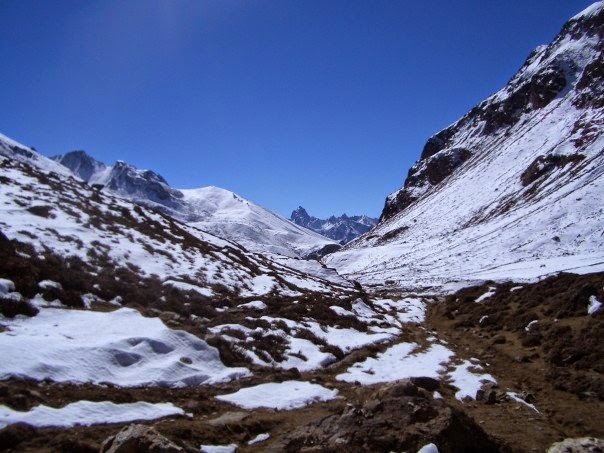 from November to March, Yumthang is all white and a perfect site for trekking and skiing. Yumesamdong: set on the brink of the Chinese border, this place is actually a land of perennial snow. It is well known for its hot springs, there are about 14 of them around Yumesamdong. This is the Zero point, where the road ends, as this point is the end of India and beyond is Indo- China border.... it is really awesome. Nobody to bother you, it is just you and the snow covered mountains. I felt like staying there for ever. I did not like Gangtok very much, although the hotel where we stayed was very good, it was a 5 star hotel, their rooms too had very good view of the far away Kanchenjunga mountain. 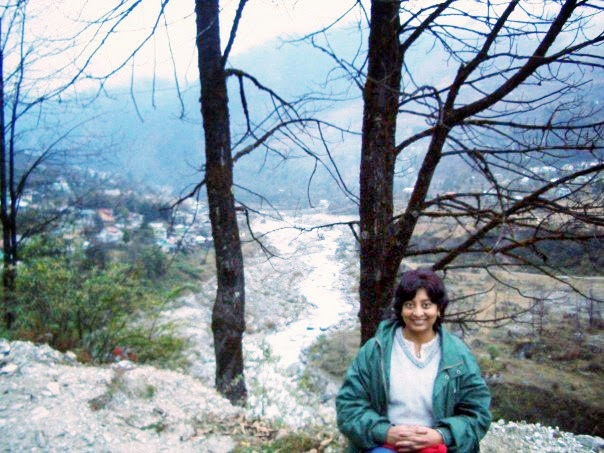 I felt we could have planned better and could have seen some other beautiful places in Sikkim, instead of Gangtok. Our trip to Sikkim ended here. It was the most unforgettable trip and I would always cherish it. Thanks for the nice travelogue and sharing these beautiful photos.. I am glad you liked this SG. What a great vacation! Thanks for sharing it with us, simply beautiful. Reshma that is the image which kept coming in my mind as I watched the snow melt slowly, ever so slowly from those gorgeous mountains every day from the balcony of our hotel : the chocolate brown under the melting white icing, it was indeed incredible. There many beautiful places in India, I wish I could visit all of them. Thanks Reshma. 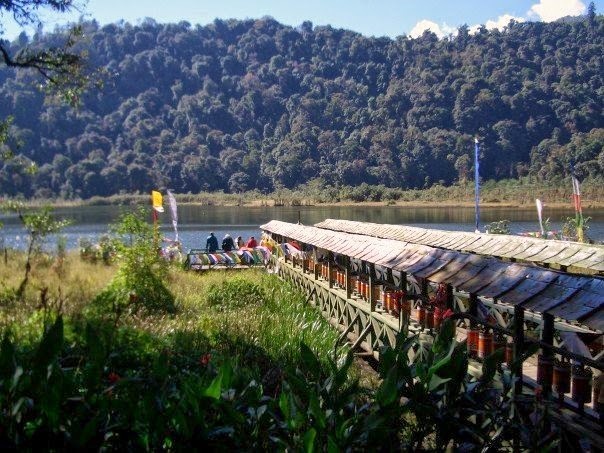 beautiful pictures..we went there in 75, and saw only Gangtok but that time it was very beautiful..now you post is encouraging me to again..
Renu you must start visiting these places before, it becomes too commercial and touristy. 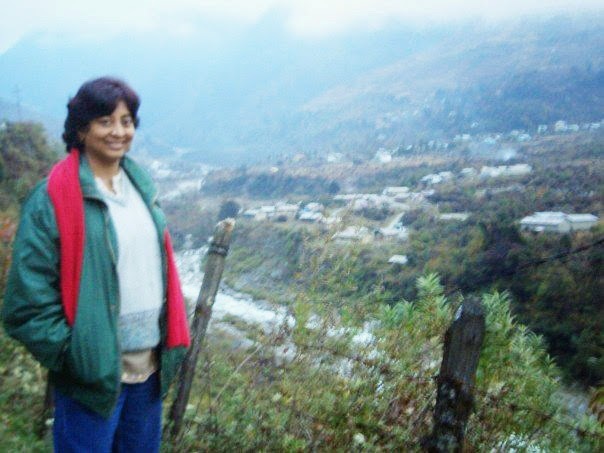 75, was a long time back, it must have been lovely at that time, but when we went Gangtok looked like any other 3rd rate hill station. Beautiful photographs! I showed to my husband. It is in our travel list now, thank you, Rama! Very beautiful photos, you captured them all so well. The toblerone colors looks amazing that make these ranges so inviting to paint, thanks for sharing such lovely shots Rama. Yes padmaja, you must paint it. Thank you for liking this post. Gave me goosebumps reading this, lovely tour Rama! 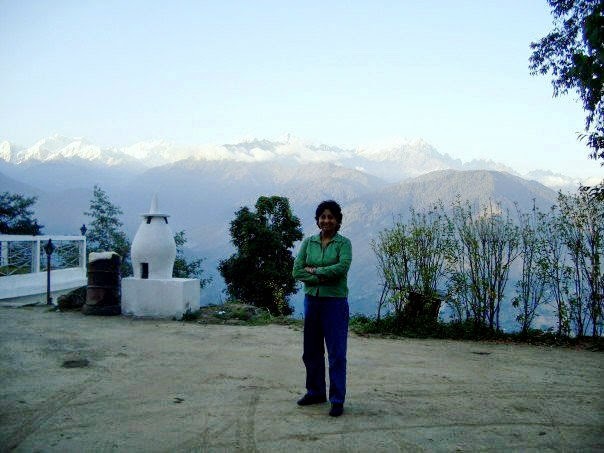 :) Sikkim is a beauty isnt it! 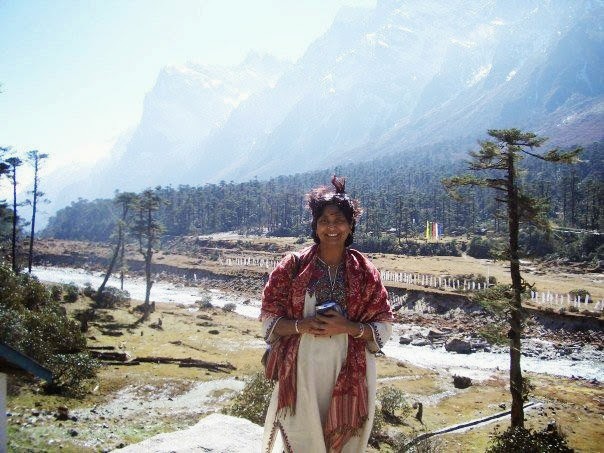 Except Gangtok I didnt visit any of the places you did, I went to Dzongu and Lingee Payong... Two villages. This fills me in with some places I missed. Welcome to my blog. The places you have been are beautiful too, though we did not visit them. 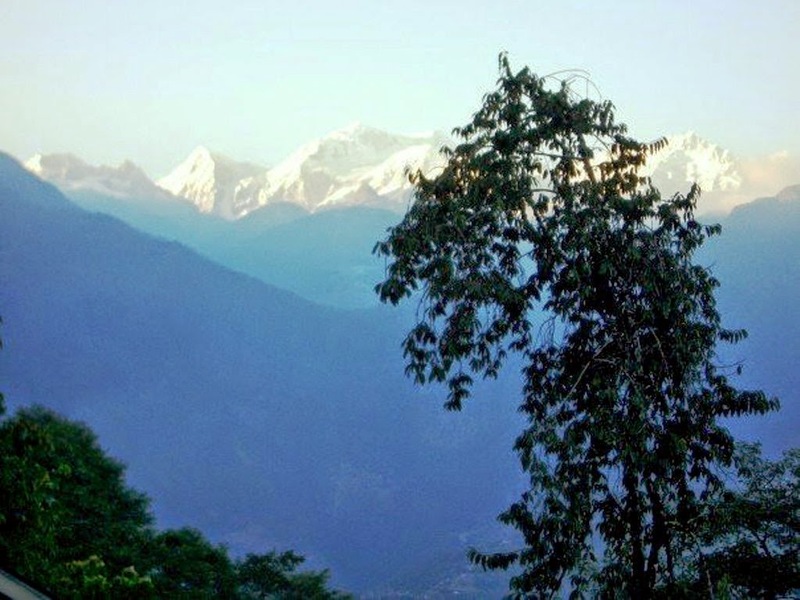 in fact, there are so many places to see in Sikkim it becomes very difficult to come to a decision, as to what to see and what to omit. Thanks for dropping by, hope to see you more often. I want to see Assam too, where I lived for almost 5 years, but when I was very young. I would like to revisit some of these places and see how it feels now to be there. Read 3 current posts. I am so inspired by your father. You are so lucky to have such inspiring elders. My respects to them. I was so thrilled to read your posts on our best friends. We have been having these companions for more than 30 years now. They do make life worth it. I could go on and on. 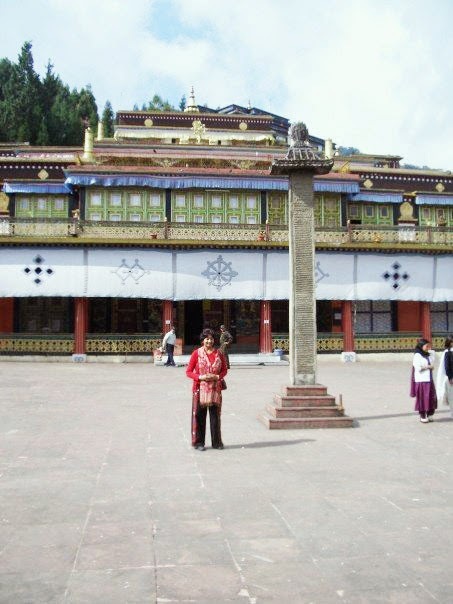 Thanks for virtual visit to Sikkim which makes me wish we could also visit this place. This also brought back memories of our visits in J&K and Himachal areas. Even i want to visit Jammu and Kashmir, and also HPand Ladakh too. Don't know when it would happen. Thanks for going through my posts. Yes I do have an highly inspiring father, and near and dear ones in my family who are really good people. At least you have managed to visit the most beautiful place in India. North East is definitely worth exploring, and I also plan to do it sometime. Thanks for liking this post. 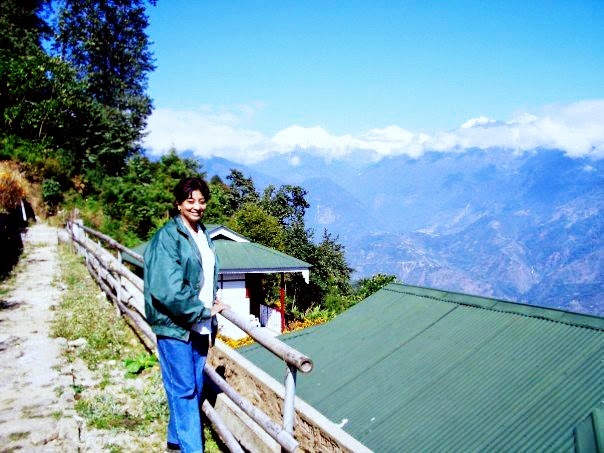 Ahhh...nice travelogue here Rama:) We too had a satisfying visit to Sikkim:) Such a tranquil and calm place, especially Pelling! 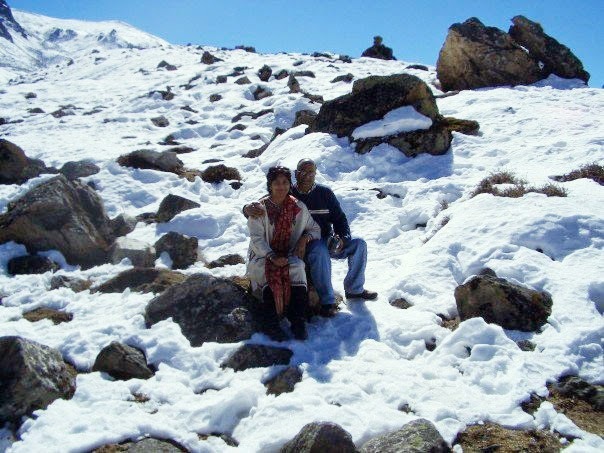 Yes I know, you have also visited Sikkim. I had read that blog of yours. Pelling is amazing. Thanks for dropping by CN. Interesting to know about rivers Lachen and Lachung. The north east is one place I have yet to explore. Such breathtaking pictures! This reminds me that India has so many places to visit, before we trot out dutifully to Europe etc. So much to do; so many sites to visit; so much to appreciate in India! A visual feast indeed and a mind-blowing write-up which kept the mind under the captivity for a while.O! What all Mother Nature has arranged for us. Sikkim is really beautiful. It is on my must-visit list for sure. pity i did not have a camera then. Thank you for the wonderful blog. It is indeed informative and useful We are into the same business. For know more about us, please visit hotels in nagpur city today. Really magnificent views! I like that white dress you have. Does it have a special name? It is a typical Kashmiri woollen Kurta, with embroidery. It can really keep one very warm in winter. 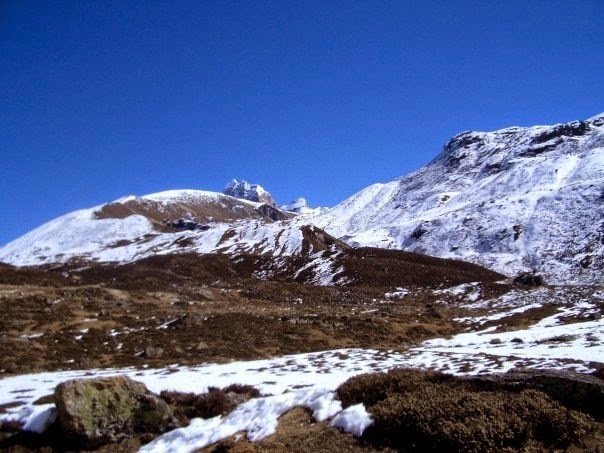 Sikkim is a wonderful tourist destination, you have captured beautiful photograph of North Sikkim the snow hills and natural beauty. On Our Trip To Ooty.